Terminó con éxito la Quinta Conferencia EcoMateriales. En los siguientes días publicaremos fotografías, videos y resúmenes del evento. ¡Muchas gracias por su asistencia! Hay cupo para 100 estudiantes en la Quinta Conferencia Internacional EcoMateriales. Podrán participar en todas las conferencias magistrales y de los eventos colaterales con un costo simbólico de USD 10,oo que se cancelará en el inició del evento. No tendrán un certificado físico, únicamente electrónico. Four months before the conference the list of keynote speakers is taking shape and we can make a first preliminary announcement, although there might still be changes. Call for papers are still open! 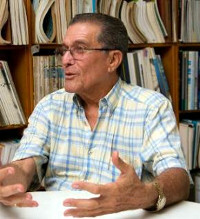 Fernando Martirena (Dr Sc. Eng), Cuba, Team leader on the development of Low Carbon Cement, a joint program between Swiss, Cuban and Indian Universities and Cement companies (www.LC3.ch) will give an overview of the state of the art in the development of “green cement”. 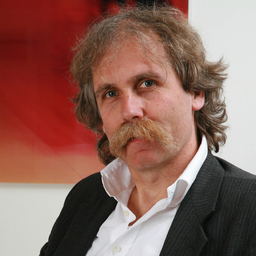 Rolf Buschmann (Arch, Prof.) Germany, Specialist for energy programs in construction, director of a German Energy Institution and lecturer in Universities around the world. Will give an overview on “smart grid” solutions and applications on small scale. 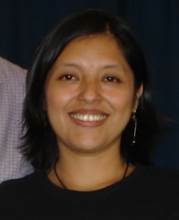 Susana Rojas Williams, USA, Director of International Shelter Initiatives at Habitat for Humanity, shows how to develop replicable financial models to facilitate investments to improve the environment for residential energy efficiency. The "Residential Energy Efficiency for Low Income Households (REELIH) Program" forges partnerships between a wide range of stakeholders, including homeowners associations, governments, and financial institutions. Amy Hilleboe, USA, is the Senior Technical Coordinator for Disaster Risk Reduction for Catholic Relief Services focusing on community-based disaster risk reduction and climate change adaptation. Amy will present on community-based approaches to environmental and sustainable construction, resilience, and disaster risk reduction. Bernardo Rhyner (Arch) Suiza, EcoSur project manager experienced builder in Latin America and practising architect in Switzerland, will focus on the need to introduce dual education for builders on all levels. Marcelino Castro (Eng, Msc) Nicaragua, entrepreneur and business manager with a longstanding background as project manager of social housing projects in several continents, will present his experience on introducing new technologies in construction. Soumen Maity (Eng, PhD) India, Senior General Manger at Development Alternatives. He is a Material Scientist by profession and currently leads the Technology Management business at TARA and will present experiences with recycling of demolition waste and other materials. Winfried Clever (Arch) Germany, Manager Latin American and African Desk at DESWOS, a German NGO focusing on social housing. He discusses the difficult line between financing housing for the poorest and the task of recuperation of funds from the perspective of the aid providers. Hugo Wainshtok (Dr Eng) Cuba, President of the International Ferrocement Society, “the father of ferrocement in Latin America” with decades of practical and theoretical experience and author of books on the subject. He will give an overview of applications and new developments. Philippe Garnier, (Arch), France, Head of habitat programme at Craterre, lecturer and researcher, will report on the development of measuring tools to identify sustainable building practice and projects. UN-Habitat Headquarters or Regional Office for Latin America and the Caribbean (ROLAC) Representative, TBC, will present on UN-Habitat post-disaster reconstruction approaches and lessons learnt in various post-crisis contexts. GNSH,The Global Network for Sustainable Housing reports on its vision, upcoming collaborative projects by and between network partners and implications arising from the New Urban Agenda. We have received several abstracts for project presentations on subjects like green cement, fired clay brick production, earth buildings, bamboo, innovative mortgage systems, cooperative housing, dual education, recycling. As Ecuador was hit by a strong earthquake a few weeks ago, much emphasis is going to be placed on disaster prevention, mitigation and reconstruction, several contributions are being prepared from experiences in recent disasters, specifically Haiti, Philippines and El Salvador.